Sheralyn McVeigh is a dedicated Real Estate Broker who is committed to giving excellent service to clients. From the first time home buyer to the more experienced home seeker, Sheralyn is a knowledgeable expert within Orange, Los Angeles, and Riverside Counties. Sheralyn is recognized by both clients and developers for her tenacity, awareness, accessibility, and attention to detail that she provides throughout the buying or selling process. In addition, She has a keen understanding of market conditions, value, and how each affects your bottom line. She is creative and intuitive when it comes to pricing and marketing properties to ensure the very best results. Her sales savvy and finesse ability to negotiate make your experience in the real estate market positive and productive. Most importantly, she understands how important it is to listen to her clients in order to help them to achieve their goals. Her commitment and loyalty to her customers keeps them coming back with a desire to work with her time and time again. 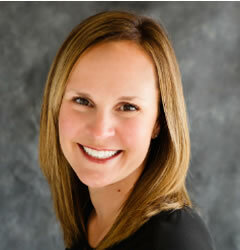 Sheralyn currently resides in Huntington Beach with her husband and three children. She is regularly involved with local schools, sports programs. Additionally, she commits much of her free time to sponsoring and donating to a variety of fundraisers. Contact Sheralyn McVeigh today for all your real estate needs and see just why she stands out among her peers. A Realtor with McVeigh Properties, Ginger Olmstead has a work philosophy that centers around her clients. She believes in keeping her clients as her top priority and always providing them with the best service. Ginger’s attention to detail and service make her a great asset to both buyers and sellers. Ginger graduated with a Bachelor of Science in Elementary Education from Brigham Young University. She has lived in Huntington Beach for the past 17 years with her husband and three children. She loves her community and enjoys serving those in her community. She is a volunteer for the local little league, girl’s softball league, and Smith Elementary school. In her free time, she enjoys living an active lifestyle and spending time with her family.